Family and friends of the late Mrs Kathleen Birch are invited to attend a celebration of her life which will be held at the Evergreen Chapel, Lester and Son Funeral Home, 359 Wantigong Street, North Albury, on Monday 11th February 2019, commencing at 2.00pm. In lieu of flowers donations to Albury Mercy Palliative Care would be appreciated. Envelopes will be available at the Chapel. Passed away peacefully at Estia Health Thurgoona on 4th of February 2019, aged 92 years. Treasured wife of Victor (dec). Loved Mother of Dennis (dec) and Paul. 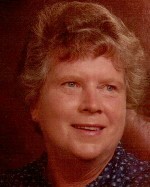 In loving memory of dear Kath, a very good friend of our Aunty Roma Hood (dec) and the Howard Family, Deniliquin. Our condolences to Paul. Sue and Terry Clarkson.